Although I cook French at home, I have adopted Montreal bagels. Bagels are not as common in France as in North America. 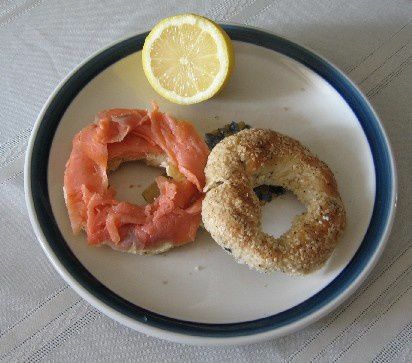 Bagels are small ring-shaped breads. They are often topped with sesame or poppy seeds. In Montreal, two shops are famous for their bagels: St. Viateur and Fairmount. They are mentioned in all Quebec guide books. There is a debate about which is the best bagel shop in Montreal. 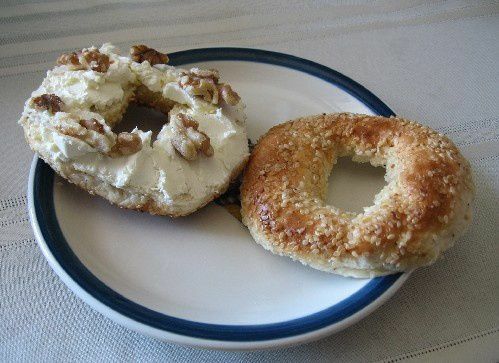 Some people prefer Saint Viateur bagels and some others prefer Fairmount bagels. I personally think that they are both equally good. Moreover there are other bagel shops. Some health food shops sell organic bagels but they are often frozen. This is what you can read in capital letters on the wall at the entrance of the exhibition “Actions: What You Can Do With the City” presented by the Canadian Centre for Architecture in Montreal. It sets the tone. There is no utopian project designed by an imaginative architect. All initiatives exist. They are projects initiated by ordinary people who want to improve the city where they live. This is a good example for defeatists who say “we can’t do anything”. It reminds us that we can’t just wait and hope that politicians change our environment, but it mainly teaches us that means exist to make our city a more pleasant place to live. The link between a city and its inhabitants is an interesting question. We generally endure our environment instead of influencing it. Cities organize public consultations on new construction projects but few people are informed about such consultations; very few people have time to participate, and those who take part in the debate often have a feeling that they are not considered. Therefore, cities develop without their inhabitants taking part in it. And it is only afterwards that we see the result: ghettos that concentrate poverty, central business districts that are deserted late in the afternoon and express ways that raise barriers between municipal districts. How can we give more humanity to cities? First, by remembering that public space belongs to everyone; thus, it belongs to us. Therefore the exhibition shows projects aiming to make the city their own. I am amazed by these simple but effective ideas. * I already knew Freecycle. People can publish an ad on Freecycle website to announce items they don’t want any more, because what they would throw away could be used by others. There is a Freecycle group in Paris and another one in Montreal among others. * In New York, Green guerillas make “seed bombs”. Those little balls, mixtures of clay, compost and seeds can turn any empty lot into a garden. 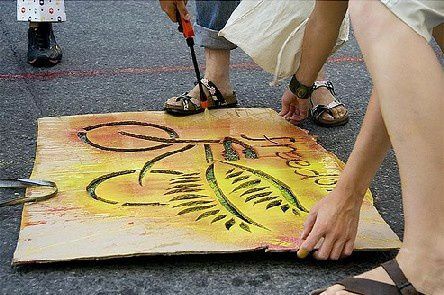 * In Toronto, Urban Repair Squad makes stencils perforated with a bike pattern. You can use them to paint bicycle lanes where they are needed. * Rebar covers parking spaces with grass in San Francisco. 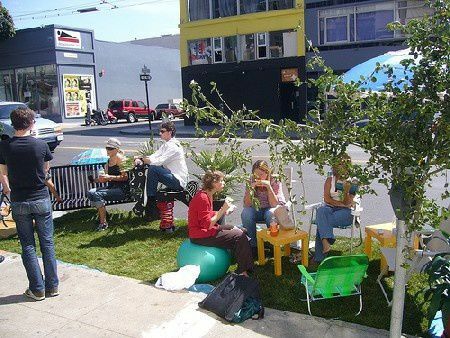 This project called PARK(ing) makes us realize the enormous place taken by car in cities. Can you imagine if all parking spaces were converted into gardens? * At McGill University in Montreal, the “Edible Campus” project consists in planting a vegetable garden in containers. It adds green to a concreted corner of the campus and the crop is given to a charity that delivers meals to seniors. * Santiago Cirugeda, an architect from Seville, wrote a book called Recetas Urbanas (urban prescriptions) that provides semi-legal strategies for housing and urban renovation. One idea is to temporarily occupy vacant lots waiting for a project or a building permit. 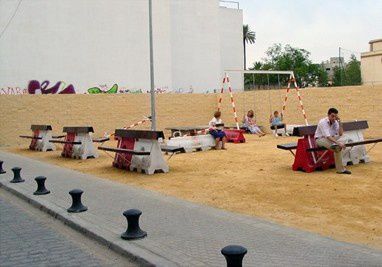 Recycled street furniture is used to construct benches and playground equipment on the vacant lots. There are other actions on the exhibition website. Everybody can submit an action so that it can be shown too. 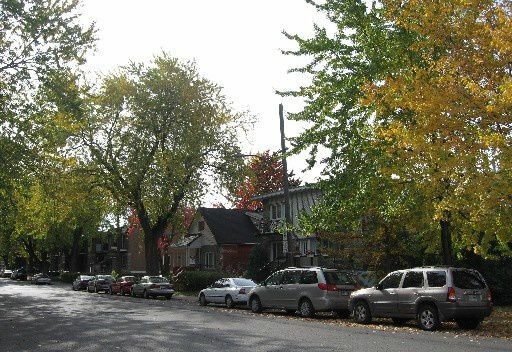 I would like to tell a slice of life of a newcomer to Montreal (and to Canada). This is the neighbourhood where we set up. It is very quiet. It was difficult to find accommodation. After several visits, we have opted for a monthly furnished apartment. It is expensive but big, neat and near a metro station. We have to deal with some formalities: Social Insurance Number (a national identification number), Permanent Resident Card, choosing a bank, international wire transfer, health insurance… It is time-consuming. Cranberries are not as common in France as in Canada. 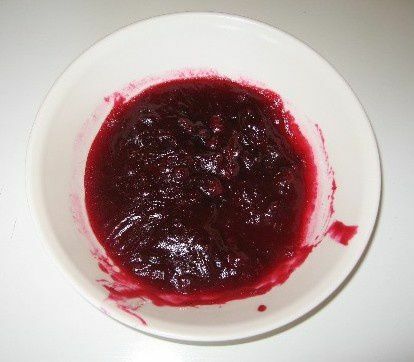 My partner cooks for the first time a cranberry sauce, it is delicious. Visit of the Museum of Fine Arts. The collection is of works of art of all periods and origins. I discover works of art I did not know by asome of my favourite artists. 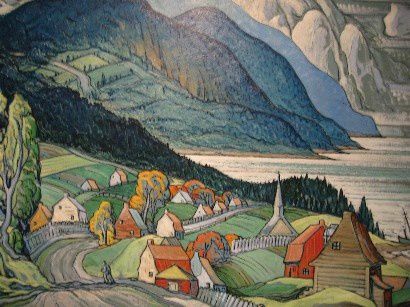 The decorative arts and Canadian art sections are particularly interesting. We attend a Bixi demonstration. Bixi is the Montreal’s new bike-sharing program. It is similar to the parisian Velib and it will be available in spring 2009. You will have to choose between a seasonal pass, a one-month pass or a 24-hour pass. And the first half-hour of each use will be free. In Paris, an outdoor advertising corporation manages Velib. 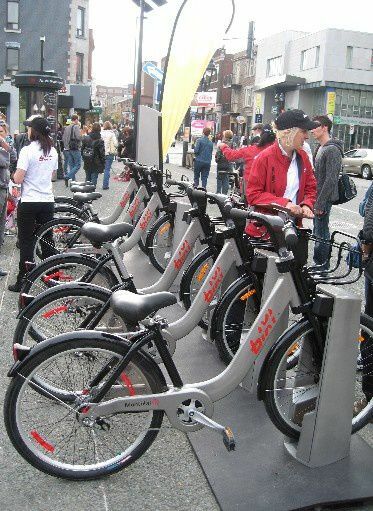 In Montreal, Bixi will be financed by “Stationnement de Montréal” with the revenue it earns from operating public parking. So the drivers, who are responsible for urban pollution, will pay the development of cycling and therefore pollution reduction. Finally, a few reflexions about fashion. I find that women dress quite casually in Montreal. They walk in flat heels the never-ending streets. They like boots and dare to wear colors unlike women in Paris who prefer black and grey these days.